After the Cavs fell to the Warriors in Game 4 of the NBA Finals, the countdown until LeBron’s free agency decision had fans eagerly waiting to see where he would end up. On July 1, LeBron officially became a free agent and announced that he would sign a four-year, $154 million dollar deal with the Los Angeles Lakers. This announcement set shockwaves through the NBA community. 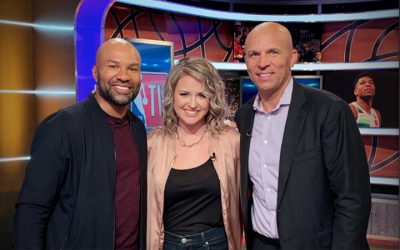 NBA players, former players, and fans had a wide range of reactions to this deal, but Spectrum TV and NBA TV decided to reach out to Derek Fisher to hear about his stance on LeBron’s decision. 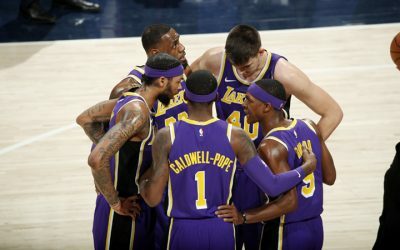 “The Lakers organization historically has always relied on the greatest players that the game has ever seen to be the pillars and the cornerstone of the team,” Derek said. LeBron’s decision to move to LA is a huge deal for the city and the franchise. The Lakers organization is known for relying on the best players in the game to lead them to success. Kobe, Shaq, Kareem, and Magic are just a few of the All-Star players to bring home championships for the Lakers, and fans hope that LeBron will lead their team to greatness once again. “LeBron fits into the echelon of greatest players to ever play the game,” D-Fish said. Fisher was not completely surprised when LeBron decided to go to the Lakers, but he was extremely excited for his city when he found out about LeBron’s decision. After winning 5 championships in LA, he was happy to hear that King James would be playing for his old team. LeBron James is coming off a record-breaking season and Fisher believes that he wants to keep the ball rolling. However, with the Warriors as a huge threat in the West, Derek Fisher thinks LeBron may be missing a piece for the team to compete for championships. The fans may need to be patient and let the team keep improving to be able to defeat the Warriors. LeBron James is a powerhouse in the NBA right now, and any team that he decided to go to would have been extremely lucky to have him. The Lakers may not be championship ready yet, but they are much closer with LeBron. The Lakers are moving in the direction of becoming a strong playoff team, and NBA fans and players are excited to see what is to come next season.